I have been inspired by many people in my life and in many different areas. When it comes to learning things, Scott H. Young runs one of the most interesting blogs I know I have kept an eye on his various projects and thoughts about how to get more out of life for at least five years, so when he said that he would now turn to learning languages, I was eager to see what would happen. When I saw that Chinese was one of the languages he had chosen to learn, I was thrilled! In this guest article, Scott shares some of his learning experience in a practical and easily applicable way. He reached a very decent level of Chinese in little more than three months, including passing HSK4 (yes, including reading and writing). If you want to evaluate his speaking skills, there are several videos in this post, one of them with Scott, his friend Vat and me speaking Chinese here in Taipei a few weeks ago. Enjoy! In this post I’m going to try to dissect the specific methods I found most successful for reaching a strong conversational level of Chinese, after just a little over three months of private study. First though, if you haven’t seen it, check out the mini-documentary Vat and I shot about the experience of living in China/Taiwan and learning Chinese. I owe a debt of gratitude to Vat for painting an excellent picture of what life was like and the Chinese we managed to reach. 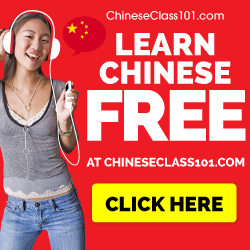 Beyond that video, however, I want to go into more detail and give you the strategies I found worked best so you can use them yourself if you plan to learn Chinese or any other language. Side note: I’m indebted to the many people who helped inspire and encourage this project. Benny Lewis, who first wrote about going up against Chinese in only three months. Chinese-Forums member Tamu, who wrote about challenging the HSK 5 after just 4 months in Taiwan. Additionally long-time Chinese learners John Pasden and Hacking Chinese’s very own, Olle Linge, offered a lot of advice in designing this project, and I appreciate the time they took for interviews, which I’ve included below. What Level Did I Reach, Exactly? In May, just a little shy of three months in China, I wrote the HSK 4 and passed with a 74% (Listening: 82%, Reading: 77% and Writing: 62%). For those unfamiliar with the HSK, it is the largest official exam for Chinese as a second language. It is divided into six levels with HSK 1 being the most basic elements of the language and HSK 6 as the highest level. According to the organization that conducts the HSK, an HSK 4 is equivalent to the CEFR’s B2 designation. However, personally, I believe this is an inflation and it is probably more like a B1. The HSK does not test speaking ability, but both Olle and John Pasden of Sinosplice.com were kind enough to sit down with me for an unstructured interview. I believe these clips are representative of my Chinese. I’m by no means perfectly fluent, but we were able to carry on a decent conversation in both cases with minimal friction. 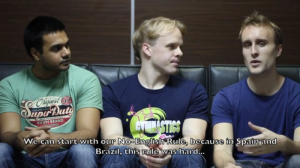 Interview with Olle Linge (HackingChinese.com) from The Year Without English on Vimeo. Interview with John Pasden (Sinosplice.com) from The Year Without English on Vimeo. John’s interview was filmed in Shanghai, just before I wrote the HSK 4 and Olle’s was filmed three weeks later in Taipei. Speaking more generally, I believe my level of Chinese is sufficient to deal with most basic necessities of living, travel, make new friends and have interesting conversations entirely in Chinese. I can also read most of simple emails, menus and signs, although my reading still lags behind my speaking ability. I’m still not at a level where I could easily understand group conversations, movies, television or read books or newspapers. Obviously, there is still a long way to go in terms of achieving native-level functionality with the language, but I feel the level I did reach has enormous practical benefits. How Much Time Did I Invest, Exactly? Before arriving in China, my studying time was exactly 105 hours. I’ve included this as an hourly amount, rather than a specific time period, because it was spread over a few months and I was also concurrently studying Spanish and Korean while working full-time. In China, I studied fairly aggressively from February 16th when we arrived, until around May 10th, when I wrote the HSK 4. Although I went on to spend another three weeks in Taiwan, I did no formal study at that time and spoke in English with Vat (taking a break to finish the video before starting Korean). Private tutoring 1-3 hours per day. Anki (MCC Deck + my own deck for HSK vocabulary) 80 minutes per day. 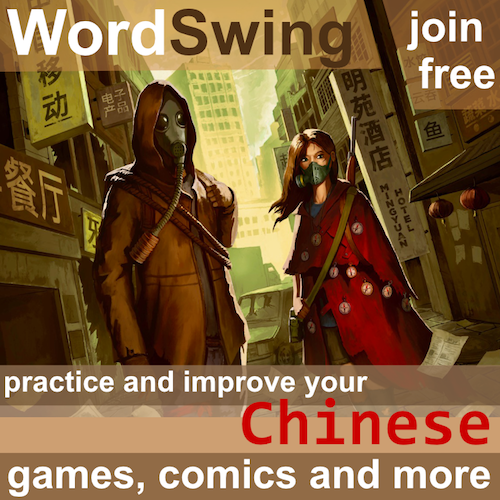 ChinesePod listening practice (last two months) 2 hours per day. Skritter handwriting (last two months) 30 minutes per day. Miscellaneous drills 0-2 hours per day. Once you include breaks, I’d say this amounts to a solid full-time schedule. Although, there are undoubtedly people who could have studied much more than I did. Aside from minimal work to maintain my website, which is my full-time job, I was entirely focused on learning Chinese. Beyond my studying, I also had a few good friends and many acquaintances in China with whom I only spoke in Chinese. Movies and television shows I also omitted from the tally of total time spent. I watched a number of Chinese movies, a few seasons of 爱情公寓 (English title iPartment), and some Chinese music. If I had to do an estimate of total time invested, I would estimate around 350-400 hours of study in China (plus 105 hours prior to arrival), another 150 hours of actual Chinese usage outside of my full-time studying and perhaps another 100 hours of Chinese media of some kind (television shows, movies, etc.). However the hours of immersion are much easier than the hours of studying, once you’re past the hump of making friends in the language. I believe the methods and schedule I outline is something anyone could implement, provided they are living in China and studying Chinese full-time (either in classes or privately). Obviously, if you need to work in English while in China, you may have to adapt these methods to suit your schedule. Chinese was a far harder and more interesting challenge than previous languages I’ve learned, such as Spanish. With Spanish, aside from some time with a tutor and light grammar study from an exercise book, I learned everything from immersion. Chinese, on the other hand, erected many barriers that made immersion in the beginning stages often frustratingly difficult. My philosophy towards learning anything difficult is, if at first you don’t succeed, break it down into smaller pieces and try again. When I frequently hit frustrations in trying to learn Chinese quickly, I reverted to that motto and broke my sources of frustration into smaller units which I could set up drills for and improve in isolation. Early in the challenge, when I found myself unable to correctly recognize and pronounce the 4 tones of Chinese, I turned to pronunciation specific drills. Later, when I found that my listening ability was hindering my Chinese much more than speaking, I spent a bulk of studying time doing targeted listening drills. It’s important to note that these drills and exercises had immersion as a background. I don’t think I would have been successful if I had used them in isolation—that is without spending hundreds of hours having real conversations with Chinese people, listening to real Chinese media and living my life mostly in Chinese. I won’t labor the point about immersion, because I’ve written about it before, but if you’re struggling with this half of the language learning process, see this article I wrote for John Pasden’s Sinosplice.com for specific steps you can follow. I opted for a set of Anki decks organized around learning characters. Although character-learning isn’t a necessity for reaching a conversational level, I felt the fact that these decks harmonized listening, vocabulary, sentence patterns and character recognition, made them the most useful resource I used. I mostly didn’t create my own Anki decks, aside for a specific one to master HSK vocabulary prior to my exam. I also mostly ignored any decks that lacked audio or full sentences. The result of these tweaks meant that I was spending less time memorizing the cards and more time exposed to new ones. This exploits the 80/20 rule, by quickly eliminating too-difficult cards that waste your time and pushing too-easy cards far ahead. Taking these decks allowed me to, using only 116 hours in China and 70 hours in Canada, learn roughly 1800 characters and see them used in a few thousand example sentences. Because the decks also separate listening/reading/production as well as single-character/sentence, I was also quizzed on each element separately. My one regret with how I handled this part of the learning phase, is that I didn’t learn the radicals early enough. Probably my first 500 or so characters, I had only learned a handful of radicals. Once I learned the radicals, my mental model for chunking characters had changed and it became harder to recognize ones learned using previous mnemonics. My advice: if you’re serious about learning Chinese, learn the top 100 radicals as soon as possible, since it is the best foundation for recognizing them correctly down the road. For listening drills, I started by just listening to ChinesePod episodes. My feeling was that these are nice passive resources, but they are too long to be easily used for improving your listening ability until you get to the upper intermediate level where both hosts speak almost entirely in Chinese. Instead, what I did was download the dialog-only files for hundreds of episodes. These usually run around a minute or so, and I would listen to each one a few times, then go through the Chinese-character only text and try to read it, and finally go through the English translation. Then, any characters, words or sentence patterns I didn’t recognize, I would jot down in a notebook. It typically took about 5-10 minutes to do each file, and I did around 250 in this way. The ChinesePod files are quite good because they use very natural sounding, conversational Chinese. Most other learner resources try to be overly clear and well-spoken, so when you listen to actual native speakers, you struggle to make a match. This was my second most productive drill I used in China, and I’d recommend it to anyone who feels their listening ability isn’t top notch, and isn’t at a level to really get much benefit from native media yet. Pronunciation wasn’t the main focus of my time in China. Despite wanting to make it a large focus from the beginning, it wasn’t important enough relative to vocabulary and listening to make it a large amount of my daily time usage. Despite that, I did find a small amount of pronunciation drills to be invaluable. I truly believe that getting even an adequate pronunciation in Chinese is quite hard, especially if you train poor habits from the beginning. The first thing I did was look up anatomical charts which note tongue position for various sounds in Chinese that we do not have in English. These were very helpful because I got into the habit of moving my tongue into a different position for the q/x/j sounds than the ch/sh/zh sounds which mostly sound the same in English. It also helped me learn how to do the Chinese “r” differently from the English “r” which can be a problem for anglophones. Next I worked on tone-pair drills. I made the mistake of doing these on my own in the beginning, which inadvertently had me pronouncing my second tone too much like a third tone. I worked with Olle to go through a specific pronunciation test to see if I could pronounce the sounds right, at least in deliberate isolation. The first time I had some tonal errors, mostly related to this 2nd-as-3rd-tone problem, as well as a couple isolated problems with the phonetics themselves. After a few weeks with drills with tutors, I redid the test and got a good score. This hardly means my pronunciation is perfect. First, the test was mostly designed to see if I was making errors that would be large enough to cause confusion with native speakers, not accent reduction. Second, the test focused only on individual words in isolation, a much easier feat than getting all the tones right with unfamiliar vocabulary in a long sentence. Pronunciation is probably one of the few areas with language learning that fixing mistakes as an intermediate or advanced learner is extremely hard. So even though Chinese can feel completely overwhelming and tones feel like a side concern, I completely agree with Olle that getting them right (even if just in limited isolation) is something beginners should allocate time for. Tutoring was also very important, but not in the way most people think of tutoring. In China I ended up having three different tutors, two in-person, and a third via Skype using iTalki. My goal with tutors was to spend as much time as possible having real conversations with them, and a minimum of drills, exercises and the things tutors normally emphasize. I bring this point up because many language teachers actively avoid using this method. Chinese teachers go through years of training teaching mostly passive students. As such, they’re used to guiding the student through exercises, grammar points and vocabulary. Many of the tutors I’ve encountered actually feel having conversations is a waste of time, and I’ve been interrupted in sessions where a tutor insists that we now “get back to work” after a conversational segue. Therefore, if you’re an active student who is doing independent study for grammar, vocabulary, wasting tutoring time on such activities is going to hurt your progress, even if your teacher pushes you towards it. I suggest being upfront with your tutor from the start about what kind of class you want to have and don’t be afraid to get a new one if your tutor stymies your attempts at having conversational classes. I emphasized the above four because I felt that they comprised (a) the most important studying I did in China and (b) they are activities many students do not do. I did use a textbook in the first month as well as a portion of my tutoring time in typical classroom activities, but my guess is that the average student spends too much time on these rather than too little. What Can a Reasonably Dedicated Learner Achieve in Three Months? Overall, I do believe that reaching a decent conversational level in a three months is possible for a reasonably dedicated learner, provided they follow the strategy I outlined. Vat wasn’t at the same level of Chinese as myself after three months, but he could still have conversations about day-to-day topics without strain and deal with most issues related to living and travel in China. Vat’s approach was considerably less strenuous than my own, and he worked on other non-language learning projects at the same time (including the videography for our mini-documentary). For learners who aren’t able to devote themselves fully, I think stretching the same strategy over a longer period of time could have a similar impact. If you’re teaching English in China, for example, and need to speak English for 8 hours a day, I imagine you could apply my approach to 2 hours per day in your spare time and probably see the same results in 6-8 months (given you also pursue immersion in your spare time as well). Similarly, I believe someone learning in a classroom environment, but outside of China, could still arrange conversational exchanges via iTalki.com and the slowdown from not being within the country would be modest. The only challenge would be maintaining the motivation, since you have less pressure to learn Chinese. At the end of my stay in China, I was left with an impression that I really didn’t have enough time there. Not because my level was inadequate, but because the vastness of Chinese language and culture really deserves years of study, not a few short months. Switching from a high-intensity period of study to a low-intensity, habitual, type of studying can be tricky. Now, my goal is to set up regular interaction with Chinese. Even if I have to return to real life and can’t devote myself full-time to learning Chinese, I feel I’ve established enough of a base that continuing progress can be done largely through real interactions with Chinese people and Chinese media, making it more enjoyable to keep learning. A big thanks to Scott for this guest article! He is the author of Learn More, Study Less. If you join his newsletter, he’ll send you a free copy of his ebook detailing the general strategy he uses to learn more efficiently. This includes language learning, but certainly isn’t limited to it! That was an interesting read! Thank you for sharing. I have a question related to keeping a notebook, as you mention it but I’m not quite sure what you use it for. I myself have been trying to keep a notebook, but since my vocab is stored in SRS, I really have a hard time deciding what to write in it. Sentence patterns? Tricky grammatical structures? But can’t I store it in my SRS as well? This question is also directed to Olle, as I’m interested in his stance on that topic as well. I think keeping notes is extremely important and I write down anything I find interesting. Most of this finds its way somewhere else, so my notebook is seldom the terminus for any train of thought or observation (unless I find out that it wasn’t as interesting as I thought when I write it down). I have written much more here: Why you really should use a Chinese notebook. I did use a notebook, but I think I could improve a lot on how I took notes with respect to language learning, as I didn’t have any clear systematic way to prioritize notes/add to Anki, etc. However, I don’t think it hurt too much as my input focus was on pre-made decks and ChinesePod dialog-only audio files, so I didn’t spend much time hand-crafting Anki decks (my personal Anki deck probably had only around 300 entries). I’m impressed that Scott could pass the HSK 4 after three months. I wasn’t able to do that studying twenty hours a week in a Chinese program at a Taiwanese university. I think he took charge of his learning in a way that I never did. The only problem with the approach is that it seems very active and some things such as accent and intonation come about more passively over time through close relationships with native speakers. Agreed. I think there’s a lot you’ll sacrifice with a 3-month time window as some aspects of the language really need long-term exposure to do well. I remember reading somewhere someone writing about how their language ability actually got much better *after* their intensive immersion period, given that they maintained some regular study, as if the knowledge takes some time to fully assemble itself in the brain. That is incredible. I must say, I have a new desire and hope that my own Chinese can improve without too much time. I do have a question for Scott, if he is able to answer, though any input would be helpful. Anki is mentioned as a useful resource, but I went to the site and was slightly overwhelmed with the content. Is there any recommended list for beginner learners? Which list did Scott use? I link to the set of decks I use in the post. Mastering Chinese Characters were the best I found, however they are slightly more formal, slightly more written and not geared at the most important phrases, so I consider them to be a resource that pays off most in intermediate, not beginner Chinese. That said, I used them from nearly the beginning, and I found them very useful. Thanks for a great post that will continue to inspire me in all future foreign language learning efforts. I’m just wrapping up 6 months living in rural Taiwan. I put in 10% of the effort that you did and got one-tenth (or maybe just one-twentieth!) of the results– and yet it was still a wonderful, life-changing experience. If I had read this post 3 or 6 months ago it would have given me the tools and resolve I needed to structure my learning better. 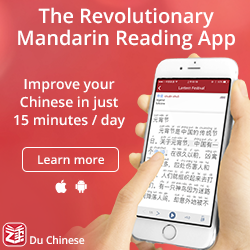 So much time is wasted on people’s discussion of how hard it is to learn Chinese instead of the strategies to break it down into manageable mini-goals and cope with each sequential barrier (I’d had such an easy time with Spanish that the tones and my early inability to communicate demotivated me needlessly. I should have had better perspective and my one regret, despite a fantastic time getting to know people even without a common language was that I didn’t put more hours in each day.) Your project, like Benny the Irish Polyglot’s,are great contributions to the study of language and the notion of purposeful lifestyle experimentation. Keep it up. I’d happily read a whole book on this subject, and I’m enjoying your older blogposts on habits etc. Chinese is on the back burner for me now but I’m moving to Mexico in 6 months and look forward to your Spanish advice BEFORE I go. Thanks again. Thanks, I agree. Chinese is needlessly demonized, but if you go into it from European language experience, it can be demotivating that you can’t simply slide into immersion after only a week or two of study. Recognizing Chinese has a longer time horizon for mastery, but is otherwise completely learnable is important. Thanks for a great write-up Scott! It’s interesting to see that you identified your listening ability as something that was significantly holding you back, as I’ve always had the same difficulty. Whenever I’ve learnt a language intensely within a relatively short period of time, I’ve found my speaking ability far exceeds my ability to understand other people (mainly because you need far less vocabulary to be able to express yourself on a basic level, whilst native speakers are usually poor at mediating their language to help you understand). How tangibly did your listening improve once you started to focus on it? Did you find it still to be holding you back at the end of the 6 months? Well it was only 3 months, but otherwise the point stands. I used a lot of ChinesePod to practice. I think Chinese is particularly difficult for listening, compared to other languages, because the grammar is more context-dependent and therefore places less burden on the speaker for conjugation, gender agreement, suffixes, etc. that you find in other languages. Second, the near complete lack of loanwords from English makes it hard to easily parse sentences, even when talking about familiar things. The only remedy is exposure and practice, which should come with time. I think your Chinese has progressed quite well for 100 days.I’ll point out your strengths first, and then some feedback, coupled with some strengths again. This is feedback is all from a Chinese native speaker. An area of improvement is your 發音. Both my gf and I had trouble understanding what you were trying to say. I think you know the four tones, but you have trouble placing the correct tones with certain vocab. I would suggest shadowing dialogues to improve your fa yin. Laslty: both my gf and I were impressed with your listening ability. I can see from your study methods that your hard work certainly paid off. 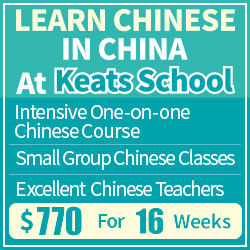 I think if you focus on your speaking a little bit more, then you will be on track to a very high level in Chinese. Keep inspiring, and keep pouring oil into the fire! I think you’re right, my pronunciation could definitely be improved. However, I feel like part of the weakness to my pronunciation isn’t a lack of practice on that aspect, but adjacent aspects of my Chinese which make emphasizing correct speech harder. For example: My tones are sometimes sloppy because I’m not completely confident of the correct tones, so I muddle them out of hesitancy. Second, searching for vocabulary words or the right sentence patterns occupies most of my thinking, so I’m less focused on using the correct tones. All of this will hopefully improve with time. I hope that strengthening some of these other links in the chain will give me more time to focus on accurate pronunciation. There are no shortages of resources in increasing chinese vocabulary from the webbased mdbg.net to Android apps like HSK Locker, but I have to agree. The pronunciation is one of the more difficult aspects to tackle when learning the Chinese language. The meanings and the work recognition is tough, but they are still ‘doable’. I’ve been trying to tackle the HSK myself for more than a year now using the only way I know how (I’m not taking the test, just learning for the sake of expanding my horizon), that is repeated exposure and brute force memorization. But only recently, I begin to understand that its a language and not a checklist. You have to force yourself to speak it, listen to it and read it.. even when you don’t know what it means half the time. Only then very slowly can you learn where those words belong in the everyday language, I guess.. In your first method, you talk about Anki deks. Can’t seem to access them (item unavailable). Any ideas ? Spoonfed Chinese is a good audio anki deck of sentences. I often come back to this article due to a mixture of admiration and jealousy! Really impresses me and motivates me by thinking if I put more time in, I’ll improve. One day ill get past hsk 4! Hi Scott, you two were truly an inspiration to me. I was learning Japanese and Spanish and I tried your “no English” method and it worked miracles! Now I need your help! Could you please enroll (for free) and leave a review with your honest opinion? I hope together we can make learning Chinese so much easier for passionate language lovers like you.